A study by an international team of researchers has found persistent infection despite antibiotic therapy in patients with ongoing symptoms of Lyme disease. The study was published in the open access journal Healthcare (Basel). Lyme disease is a tick-borne infection caused by Borrelia burgdorferi, a type of corkscrew-shaped bacteria known as a spirochete. 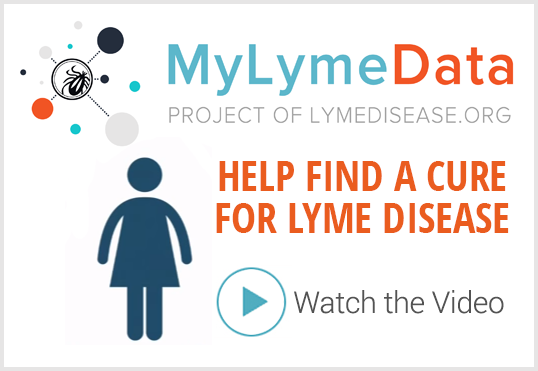 In 2013 the Centers for Disease Control and Prevention (CDC) announced that Lyme disease is much more common than previously thought, with over 300,000 new cases diagnosed each year in the United States. That makes Lyme disease six times more common than HIV/AIDS, 20 times more common than hepatitis C virus infection and 30 times more common than tuberculosis in the United States. The current study was a collaborative effort by an international team of scientists. In addition to Middelveen, a veterinary microbiologist from Canada, researchers included molecular biologists Jennie Burke and Agustin Franco from Australia working with molecular biologists Eva Sapi and Katherine Filush, nurse practitioner Melissa Fesler and internist Raphael Stricker from the United States. A previous study from Tulane University showed that the Lyme spirochete could survive antibiotic therapy in monkeys. In the present study, researchers used sophisticated techniques to examine culture samples from twelve human patients who had positive antibody tests for Lyme disease and persistent symptoms despite prior or current antibiotic treatment. All twelve patients had positive cultures for Borrelia burgdorferi, even if they were currently taking antibiotics. In contrast, asymptomatic control subjects with negative Lyme antibody tests had no evidence of the Lyme spirochete in their culture samples. NEWS: Canadians say they can't get treated for Lyme; officials say they don't need it. I was diagnosed in 2016 and I’ve undergone the standard treatments with some success but I still suffer from neurological and joint pain- my symptoms move around from organ to organ, bone to bone, limb to limb. Anyway, I found an incredible acupuncturist who knows Lyme and the results have been simply amazing and provided MUCH relief. in truth, acupuncture has been the most effective treatment of all. That said, I have visited two different acupuncturists and the first one was not nearly as good as my current one. The difference between them is that the first one would treat only my current symptom ( like joint pain or ear pain) but my current acupuncturist treats not only my current symptom but my immune system as well and he uses many more needles and a TDP lamp and he costs less! I highly recommend acupuncture but don’t be shy about interviewing them re: their knowledge of Lyme disease. My current therapist is Asian/Korean and has over 30 years experience. It would be more informative to know how long the patients were treated with antibiotics the first time, and how long after treatment did they continue to show symptoms? How long after treatment were they then retested and shown positive? If you click through to read the journal article, that information is included. If you click through to read the journal article, details about the subjects’ antibiotic therapy is included. 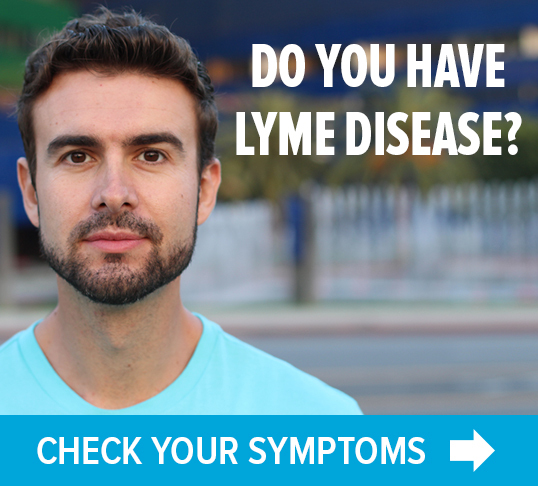 I was diagnosed with Lyme’s in 2016 here in Ontario Canada. The doctor said it looks like I have had it for a few years. I only was given one month of doxicillin. It started with a sleeping disorder, then joint paint and swelling, headaches, night sweats etc. and then came to ahead with lesions, biting, crawling sensations etc. I agree with Liz’s comment. I did acupuncture and swear by it! I’ve been virtually pain free. Once in a while I will go in to do maintenance. But I still suffer from bites and lesions from these spiral parasites. I’ve was given Ivermectin which took most of it away but not all and it just came back. The doctor refused to treat me further so off I went to the next doctor. I’ve tried natural things like Blackwalnut and wormwood but it only keeps the numbers down. 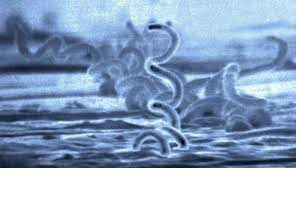 The doctor I see now says it is Morgellon’s which is linked to Lyme’s. He prescribed Metronidazole (250mg 2x a day) with sulphur cream. Not sure if it is working. I’m on week 3 now and thought it was going away but it just keeps coming back. The fibers people see (that doctors right off as psychotic and want to give you psycho pills) are actually……, and I will copy and paste it from one of the articles I posted a link below…….. that the filaments are keratin and collagen in composition and that they result from proliferation and activation of keratinocytes and fibroblasts in the skin. What I also learned is that when these parasites feel they are under attack from anti parasitic medication, they will turn into, what is called, an L-shape form. In other words, they are dormant ready to reactivate when they feel safe to come out. This is why people are getting reinfected. It’s not enough to have an antiparasitic medication but you also need a eradicating agent as well. This is the part I am still trying to experiment with and figure out. These things can not be tested with just a simple blood test or biopsy. They live in the collagen of your skin. The last link explains how it was tested on patients and methods used. No cure, just the process of figuring it out sadly. I swear that this Lyme’s is a strange government conspiracy that I don’t seem to understand with the medical community. It makes me feel like they are hiding something or don’t want us to get better. At 51 years old, I feel now that I will be spending the rest of my remaining life fighting this….alone. Can anyone shed some light on eradicating agents? I would really like to see a similar study done with symptomatic patients who have negative antibody tests. My GP completely ignores my hundred multi-systemic symptoms because I couldn’t possibly have Lyme Disease because I have a negative Western Blot. Infuriating! And so I continue to go untreated. It’s probably unfair of me to say that, not knowing if your immune system is actually not functioning – labs might be able to indicate that, and then maybe if that was the case doctors would see that the antibody test is useless… and then keep looking and trying. I jump the gun because I am so so tired of the agony of this issue – the way people are dismissed … Good luck to you and I hope you will look until you find a doctor who will treat you properly, Lyme or no Lyme.